Welcome to Kaya Scodelario Daily, your global source for everything Kaya Rose Scodelario-Davis. Find all of her latest news here. She is best known for her parts in Skins, The Maze Runner of Pirates of the Carribean. Catch her soon on Netflix with Spinning Out. Kaya Rose Scodelario was born in Haywards Heath, Sussex, England. At the age of fourteen, she auditioned for Skins (2007), the debut series for new channel E4 that would become known for casting real teenagers like her, who had no professional acting experience, rather than experienced adult actors. She won the role of "Effy Stonem" and joined the show in January 2007. She signed on to the film franchise The Maze Runner in April 2013 as the lead female character, Teresa, in the first film, released in September 2014, and its sequel, Maze Runner: The Scorch Trials, released in September 2015. She also had a starring role in the sequel Pirates of the Caribbean: Dead Men Tell No Tales, which was released 26 May 2017. Scodelario reprised the role of Teresa in Maze Runner: The Death Cure in 2017. A young woman, while attempting to save her father during a Catagory 5 hurricane, finds herself trapped in a flooding house and must fight for her life against alligators. After a fall nearly ends her career, an up-and-coming, single skater seizes an opportunity to continue as a pair skater with a talented bad-boy partner, she risks exposing a fiercely kept secret that could unravel her entire life. Want to become affiliates? Join us! Kaya Scodelario Daily respects Kaya's privacy and her private day to day life so pictures of Kaya whilst not working will not be found on this site. The site is also gossip and rumour free and is committed to post only news that is relative to Kaya's career. Kaya Scodelario Daily is a non-profit fansite made by fans for fans. Our site claims no credit for any images posted on this site unless stated otherwise. Images and information on this site are copyright to their respectful owners. If there is any content appearing on this site that belongs to you and do not wish for it appear on this site, please message us with a link to say which image and it will be promptly removed. Please message us at daisyridleyus@outlook.fr before taking any legal action. Finally some news of Kaya Scodelario ! 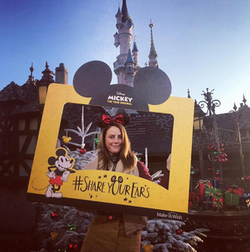 On November 17, the gorgeous actress visited Disneyland Paris in France for the #ShareYourEars campaign. 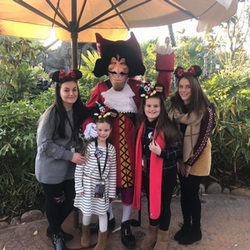 Check out some beautiful pictures of Kaya on the red carpet and some other pics shared by Kaya herself in the gallery below.